Six key new products were launched on the ADJ stand at NAMM 2016, which took place from the 21st to the 24th of January and is one of the music product industry’s largest events. The first product of note for mobile DJs is the Airstream DMX Bridge – a hardware/software combination that lets users create a WiFLY network for remote control of their ADJ lighting effects using the convenient Airstream IR App (for iOS devices only). 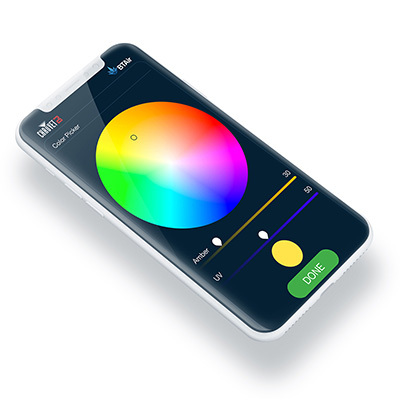 By creating a WiFi network, this DMX control solution allows multiple ADJ and Elation fixtures (within that network) to be operated wirelessly from afar, using the Airstream IR App to trigger effects and adjust settings. Also fitted with ADJ’s extended-range wireless DMX transceiver, the Airstream DMX Bridge lets mobile DJs control the lighting from up to 2500ft. Also showcased by ADJ at NAMM 2016 was the Crazy Pocket 8, which takes the design of the company’s popular ON-X effects and mounts it onto a moving head. 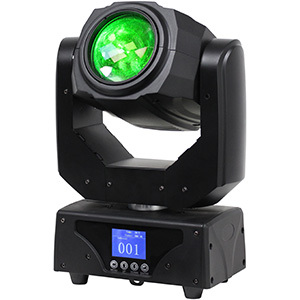 The Crazy Pocket 8 (see video below) is fitted with two independently tilting bars (with four lenses each) and 3W quad-colour (RGBA) LEDs, allowing mobile DJs to produce concise, fast-moving beams of coloured lighting that can bring energy and colour to the dance-floor. ADJ has also ensured that the unit offers 8-zone chasing, DMX-control and compatibility with the new Airstream IR App, giving users a range of options for controlling and getting creative with the Crazy Pocket 8’s effects. 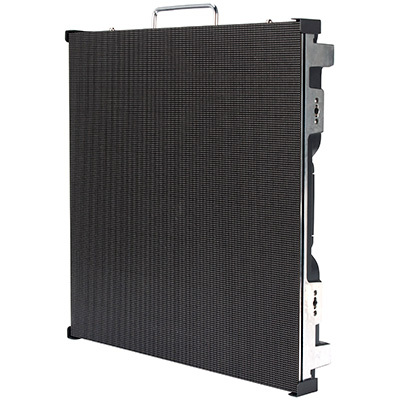 Due to its compactness, it’s well-suited to DJs on the move. 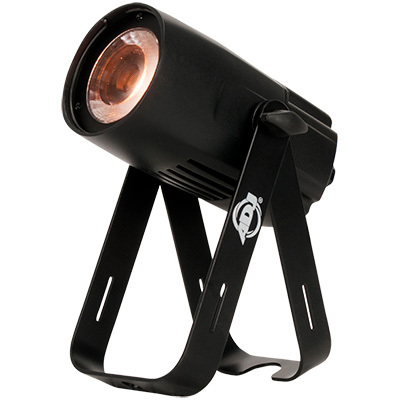 Continuing the expansion of its Inno Pocket range of compact moving heads, ADJ used the event to debut the new Inno Pocket Spot LZR – an upgrade of the popular Inno Pocket Spot mini moving head. 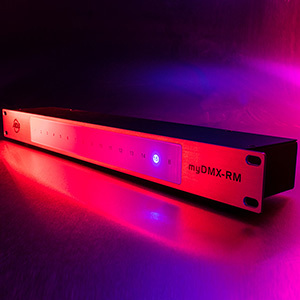 Now, mobile jocks have access to the same great features as the original but with the bonus of a 30mW green cluster laser, so they generate two-in-one effects, as well as create widespread displays thanks to the unit’s pan/tilt movement. 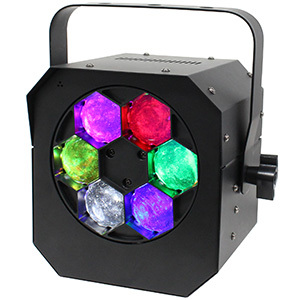 The moving head is fitted with a 12W LED source, while seven colours (plus white), seven GOBOs (plus spot) and separate colour/GOBO wheels ensure a bright, varied lightshow that’s great for smaller venues. The new Stinger II also made its first appearance at NAMM, showing visitors its powerful fusion effects. 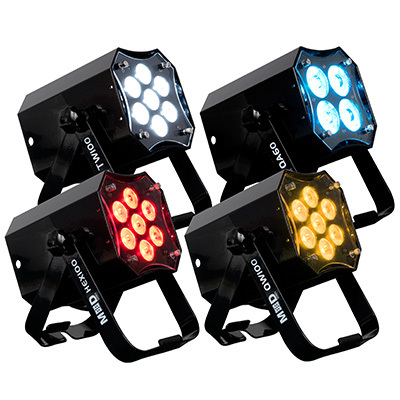 Picking up where ADJ’s original left off, the new fixture is fitted with six 5W hex-colour LEDs and eight 3W UV LEDs, in place of white strobe LEDs, allowing mobile users to combine moving LED beams, UV washes and laser effects to grab the attention of their audiences. 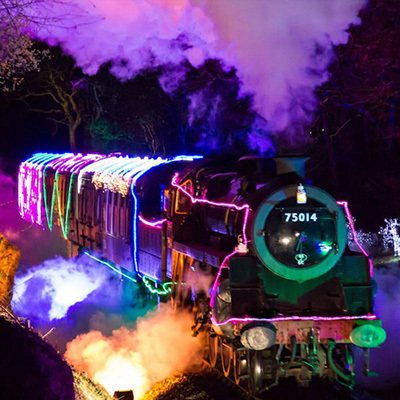 It wasn’t just lighting effects on display at the show, however. The latest addition to ADJ’s American Audio range of VMS DJ controllers, the VMS5, was also unveiled. This new Virtual DJ-ready model offers a range of new key features, including larger platters, a colour-coded LED-lit mixer section and improved button layout. Visitors to NAMM also got chance to try out its 6-MIDILOG channels, high-quality audio engine and range of MIDI knobs, faders and buttons on the ADJ stand. 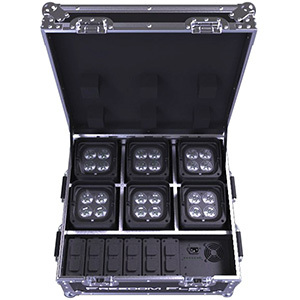 Completing this set of six new products was the WiFLY NE1 Battery – a battery-powered version of the WiFLY NE1 DMX controller. Boasting the same revered features as its predecessor, but with the added bonus of a 10-hour battery life, the new controller has been designed for use with the popular Inno Series and most DMX products with 36 channels or less. 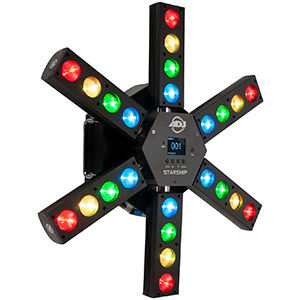 Users can control up to 12 WiFLY-compatible fixtures via wireless DMX, while the device’s built-in FX generator, intuitive layout and easy-to-use design make it accessible to mobile DJs, no matter what their level of experience with DMX protocol. To find out more about ADJ’s range of new products simply head to the ADJ website.